Great service. Excellent work to a high standard by all involved. We would highly recommend. Very pleased with the carpet and flooring. Mercian were very efficient and did everything when they said they would. 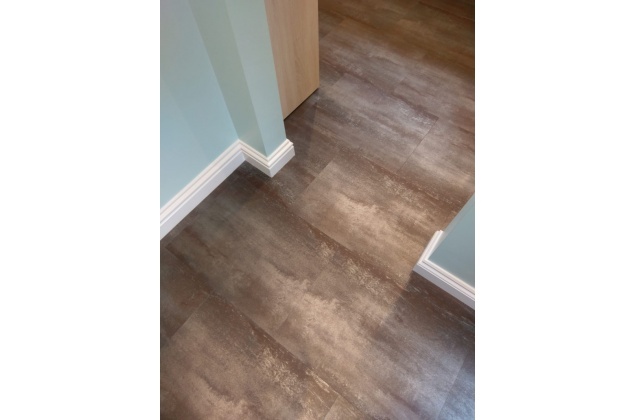 "Replaced the entrance hall and toilet flooring in Christchurch Hall. Very happy with the result. It looks good, the work was completed quickly and at the time requested and the doors were trimmed to fit. " We have had 2 jobs completed now by Mercian Carpets & Flooring Ltd. and have been very impressed with the standard or work, professionalism and value for money. We will most certainly continue to work with them in the future. Thank you for a superb job. We are delighted with the flooring in our bathroom and lounge - it's exactly what we wanted. Your workmanship and service is excellent and we would not hesitate to recommend your services. An excellent and efficient service. There was an unanticipated hitch with the quality of the floorboards in the offices and this was resolved as quickly as possible. It meant that the job couldn’t be finished in the day but Andy arranged for the fitters to return the following day, no doubt adjusting schedules to do so, which was much appreciated. Very professional and good to deal with. We just had almost our whole house carpeted all in one day by this team. They were very proffessional throughout the whole process from the first site survey and measuring up to help and advice on choosing the right carpet. On the day of fitting the team arrived on time and got straight to work with the new underlay. As this was such a big project for a fully furnished home organisation was going to be key we had moved much of the furniture but there was still some moving around to be done and these guys were on top of it all. When the job was complete the team left everything clean and tidy and the fit and finish of the carpet was excellent in all areas. We couldn't of been happier with the service from Mercian thanks again from Rich, Georgie and baby Rueben. Many thanks to both Andy and Lesley for their invaluable help and advice with our choice of carpets after a flood disaster PLUS their great flexibility with dates . A very professional team from start to finish ensured a superb new look for our house . The team arrived and a carpet laying task was completed to a high standard . 5 stars all round ! We will definitely use them again. Many thanks to the Mercian boys and Lesley for organizing this trip down to carpet our entire house in Tenby. I had never used Mercian before but they were recommended on the Victoria Carpets website and they did not disappoint. From the very start, the communication from Lesley and Andy was excellent, and they always did what they said they were going to and when. The house looks amazing and is transformed.I can thoroughly recommend them. Thanks again. The service I received from beginning to end was superb. Everything was done to make my whole experience as easy a possible - even bringing samples of the flooring for me to see, in context, in my own home. (This was in the snow!!) Adam, the fitter, was an extremely hard worker. He was also pleasant, polite, neat and tidy and very careful when moving my furniture around. I have no hesitation in recommending them. I will certainly use them again in the future. Thankyou to the team from Mercian of Andy, Mike and Adam who did a superb job laying carpet through the whole of our house. They worked tirelessly and with good humour and were happy to accommodate us with extra little tasks. The carpets look lovely and we are delighted that the whole experience was made so much more pleasant than we actually imagined it would be. We will recommend Mercian happily to our friends. Good, friendly, helpful, professional service from beginning to end - from when I first went to the shop and met Lesley to when Andy and his team came and fitted the carpet/flooring. My home was left clean & tidy and I am very pleased with the final result. I would not hesitate to use Mercian again or to recommend the company to others. Mercian were fantastic from our initial meeting to completion. Guidance and recommendations were willingly provided which we found very helpful - so often people don't give you their opinions. Lesley and Andy juggled dates (including a weekend) to ensure we got the installation well in time for Christmas. 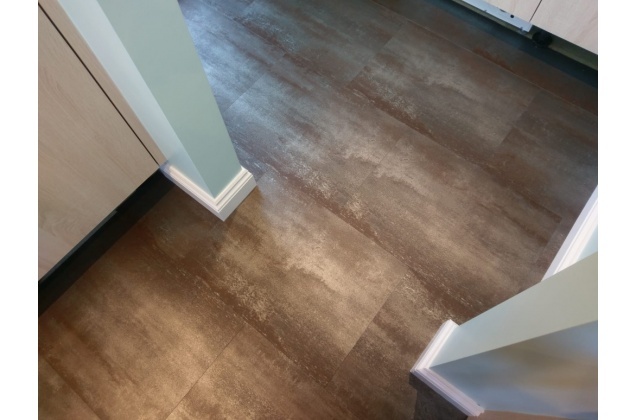 The installation could not have gone any smoother - the team arrived when they said they would and clearly took pride in their work. 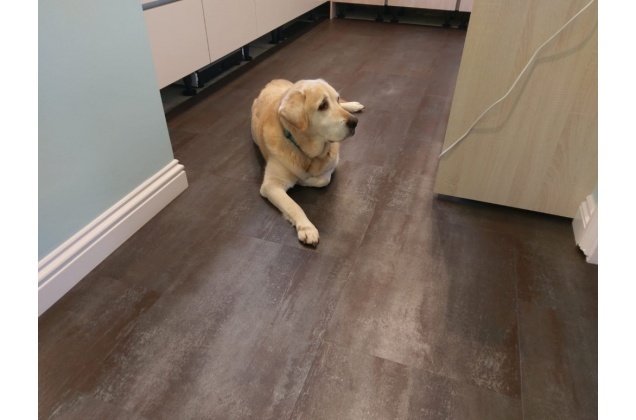 Our floor was in poor condition and great care was taken to make sure that the surface was prepared properly for the Karndean. The final results are better than we could have hoped and we are delighted with our new floor. Thank you. We recently renovated a victorian house. We first used Merican for the lower ground floor. We were so impressed with the results (the care taken to get the job right and the attention to detail) , we decided to use Merican for the rest of the house. Again the same high standard of work and we are very pleased with the results. Would recommend. Only a small lounge carpet and underlay. Andy and Mick arrived on time, removed the old carpet and fitted the new one, cleaned up and helped replace the heavy furniture and re-hang, the door all in two hours. Can't praise them enough and will definitely have them back when we replace our other carpets and wooden flooring. We contacted Mercian Carpets & Flooring Limited to lay carpet tiles to a large public function area. Compared with traditional carpets, we felt that tiles had a more snappy and contemporary feel. Andy came to see us initially to discuss the project to see how best to achieve our aim. What I appreciated was his willingness to consider all sorts of options - as well as his adaptability during the installation itself. It makes a big difference to have a contractor that is proactive in this way. The work was completed on time and within budget and together with the small tweaks suggested made the project a success.